By connecting your printer with the Google Cloud you will be able to print to your printer from any computer or smart phone, regardless of where you are. 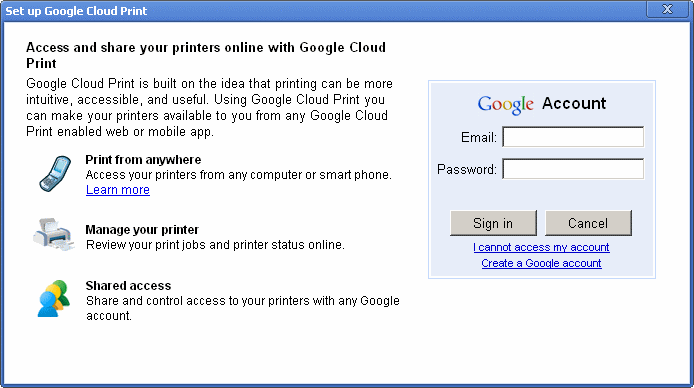 Just activate the Google Cloud Print connector in Google Chrome and your printer will automatically be available to you from Google Cloud Print enabled web and mobile apps. 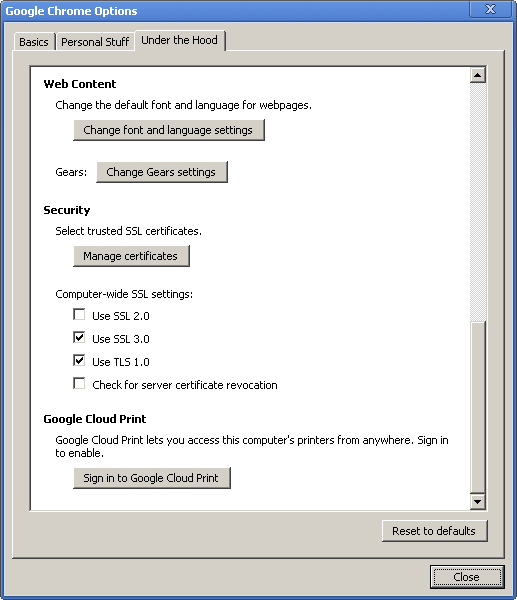 Released to the public and announced on the Official Google Blog today, Google Cloud Print is still in beta but now open to the general public that is willing to install the latest beta of Google Chrome (version 9.0.597.1 or greater) on Windows. 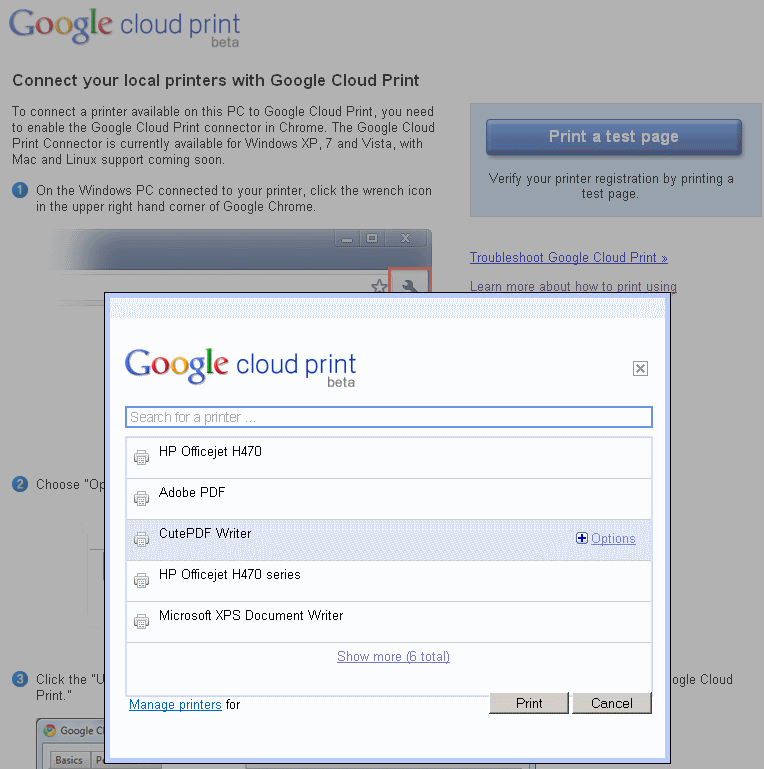 Google Chrome is used to install the Google Cloud Print Connector and connect your standard printer to the Cloud. With the beta Google Chrome installed, you can follow these instructions to add your printers to the Cloud. In my testing, it has picked up virtual printers (PDFCreator, Microsoft Live Printer, Microsoft XPS Printer) and USB-connected printers but not networked printers. You initiate the process by going to the Configure, Options window, Under the Hood tab, and then at the bottom there is a button to ‘Sign in to Google Cloud Print’. This will add the printers on the computer you’re currently using to your Google Cloud Print account. The sign in process uses your Google account to store your printer information. With the same Google account checking your Gmail on your smartphone, tablet, or Chrome OS notebook, you’ll be able to utilize Google Chrome Print and send your files to the printer. You can’t do much with the online management space for Google Cloud Print currently. You can delete printers, view active print jobs, and view completed print jobs. You can only print a test page from Google Chrome currently but you’ll be able to print from other devices as the updates roll out. This feature will be rolling out today and tomorrow for English speaking users in the US and will work on most phones that support HTML5, such as devices running Android 2.1+ and iOS 3+. I’m still waiting for the update to come to my phone but there are a few instances where I could see this coming in handy. Unlike the Gmail beta, this product is in some definite need of polish and I’d only recommend updating if you’re willing to take the trade-offs that come with being a beta tester. 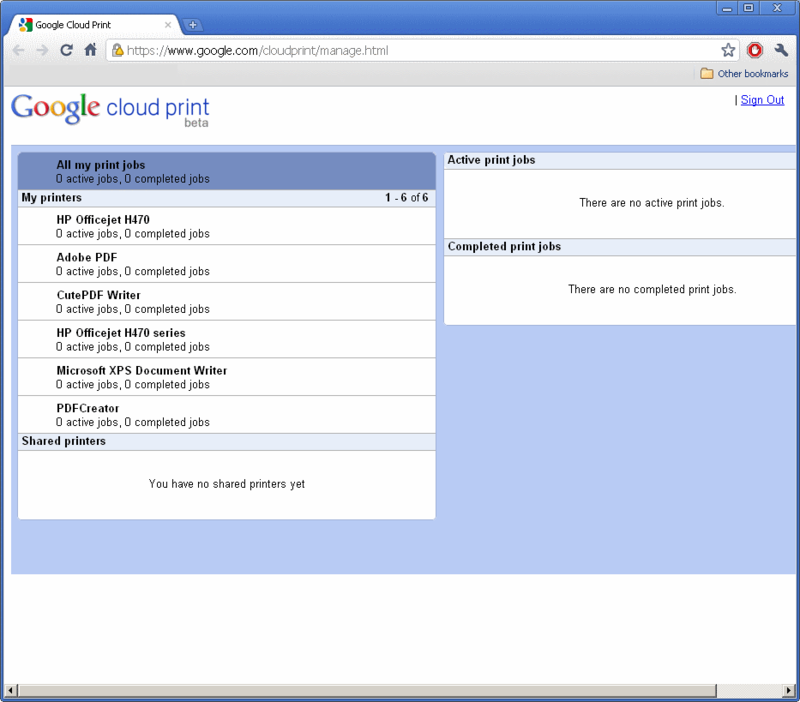 If you have more questions about Google Cloud Print, check out the Help articles.